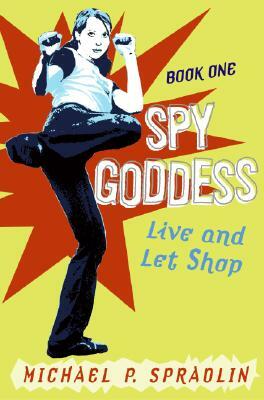 The hilarious new series Spy Goddess launches in paperback, bringing this witty combination of espionage, action, mystery, and girlpower to a wider audience. I'm not a delinquent...I'm just misunderstood. Of course, the judge didn't see it that way. She gave me a choice: juvenile detention or boarding school in Pennsylvania, of all places. That's how I wound up at freaky Blackthorn Academy. This school is clearly hiding some major secrets. And here's something you should know about me: Rachel Buchanan never gives up when there are secrets to uncover. Watch out, Blackthorn Academy! This new series is funny, fast–paced, and perfect for fans of Alias, Charlie's Angels, or Buffy.